Tell me what you are looking for and what is important to you – whether it is a house, a condo/strata, an acreage, a farm or ranch, a waterfront property or cottage, and even if it is a lot on which to build your dream home – I can help! In the Okanagan I am here to work with you. 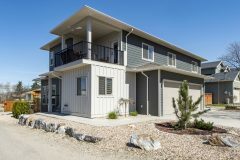 My goal is to connect each of my clients with the lifestyle they’ve always wanted, in the property they’ve always dreamed of in the Okanagan Valley. I commit to making my clients my #1 PRIORITY! 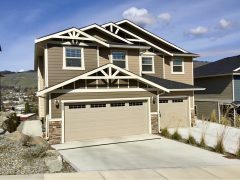 Find your dream home in the Okanagan. The Okanagan is a great place to work, live, play and retire. My goal is to help you buy your dream property in the neighborhood that is right for you and in the price range you want. Together we can reach your goals and find your piece of paradise. Quality service is my priority for my clients! 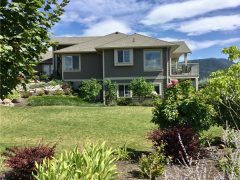 I will search for the right place for you and provide you with everything you need to know about properties and the market in the Okanagan. I will provide you with a customized MLS Home Search (Multiple Listing Service) with pictures and will give you updates on new and price reduced homes to help you with all your goals. Selling your home is more than putting a “For Sale” sign on your lawn. I offer a superior marketing plan to my clients. I have the expertise to help you get the fastest sale possible and at the best price! Your home will be advertised to millions of people. Please ask me about all the details of my “extensive marketing plan”. If you’re looking to sell or simply want to know the value of your home, I will provide you with a Comparative Market Analysis (CMA) to help determine the market value of your property. Ask about a complementary CMA today, you’re under no obligation. I provide a beautiful brochure with high resolution color pictures and details of your home. Those professional pictures are also part of my marketing plan for the internet. Show your home at it’s best. As an extended service to my clients, I am pleased to provide a complimentary consultation with a Professional Home Stager, Hélène Tremblay, of Hélène’s Voiladesign & Home Staging Consulting. Carefully preparing your home for sale is just as important as pricing it right and marketing it. A buyer’s first impression is formed the moment they see your property and walk through your front door. Hélène gives you her best recommendations to help you prepare your home, in order to appeal to a broad range of buyers and sell in the shortest possible time for the highest possible price. For more information, visit Hélène’s Voiladesign & Home Staging Consulting. I look forward to providing you with superior customer service, and whether selling or buying a property, I will make sure that we reach your goals. Why choose me in the Okanagan? Because my clients are my #1 PRIORITY!